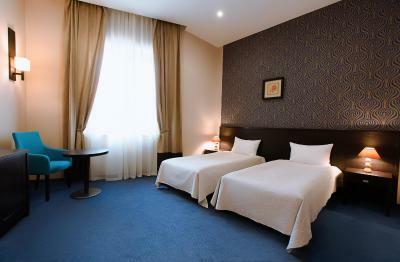 Lock in a great price for Promenada Hotel – rated 9.3 by recent guests! Excellent, friendly, and attentive staff. 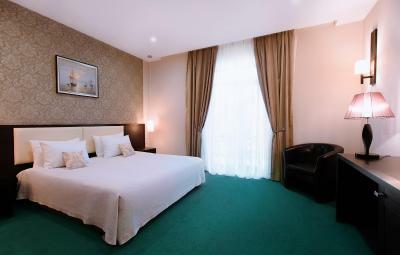 Very nicely appointed, clean and comfortable rooms. Restaurant was very good with perfect staff and very good food. Breakfast buffet was very good. Great service and support from the receptionist. 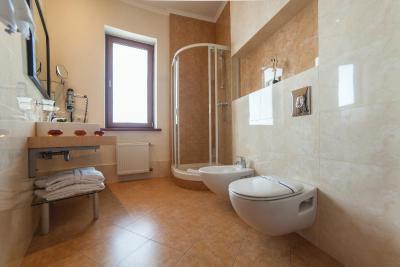 Rooms are very nice, modern and clean. Air conditioner saved me during the hot day. Internet was fast. The hotel restaurant is also very good. Останавливаюсь не первый год. При этом всегда высокое качество обслуживания, чистота, отличное питание, внимательное отношение персонала. Запарковал машину, аккуратно попросили ее переместить т.к. ведутся ремонтные работы. Захотелось перекусить вечером, без проблем доставили из ресторана легкий ужин. Рекомендую! Отель "Проминада" порадовал своим комфортом, уютом, отзывчивостью персонала. Шведский стол очень богат и 100% стоит своих денег. Обед в ресторане вообще восторг! Огромное спасибо шеф-повару за вкусный стейк, обязательно сюда вернусь. Очень уютный отель, фантастический ресторан, волшебные завтраки, рядом с морем, прекрасный персонал и неповторимый стиль оформления отеля- со вкусом, с Душой. Всем рекомендую этот отель, кто любит все самое лучшее!!!!!!!!! Великолепный европейский сервис и потрясающий, всегда готовый прийти на помощь, персонал! Даже не ожидала:-). Ощущение абсолютного комфорта и острое нежелание уезжать:-). Все было СУПЕР!!! С огромным удовольствием вернемся в эту гостиницу и, думаю, не один раз :-). 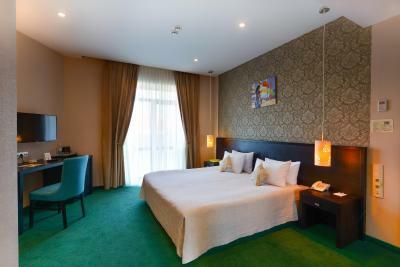 Promenada Hotel This rating is a reflection of how the property compares to the industry standard when it comes to price, facilities and services available. It's based on a self-evaluation by the property. Use this rating to help choose your stay! Located in the Black Sea resort town of Odessa, this design hotel is only a 3-minute walk from a public beach. It features an outdoor pool, a sun terrace and free Wi-Fi. 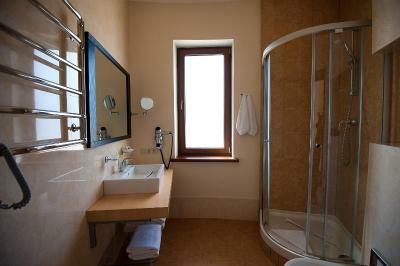 Each room includes a flat-screen TV, mini-bar, and private bathroom providing bathrobes and slippers. 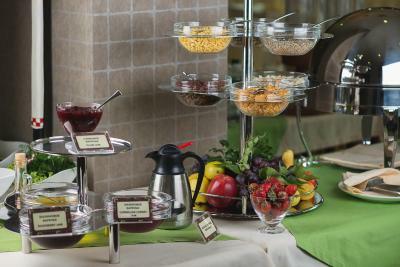 A buffet breakfast is provided in the hotel’s spacious restaurant, which serves a variety of dishes. 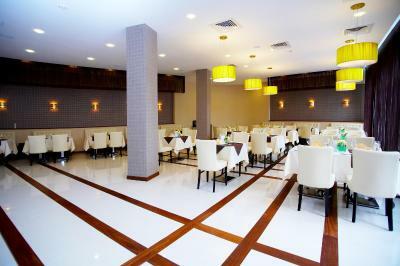 The hotel also has a bar, where guests can enjoy a variety of drinks. Room service and packed lunches are available. Deribasovskaya Street, Odessa’s main boulevard, can be reached from the hotel via public transport in 30 minutes. The hotel has a beauty salon, offering various treatments and massage services. 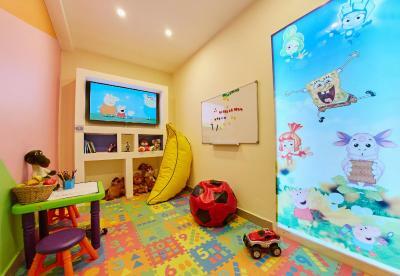 Younger guests are welcome to visit a children's room with toys. Babysitting services are provided. 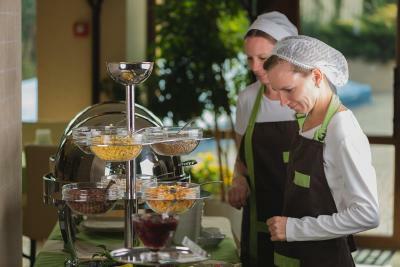 Staff of the hotel is always at hand for help. Free private parking with CCTV is available at Promenada Hotel. 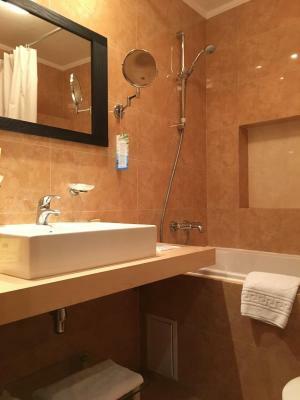 The accommodations is located 5.6 mi from Odessa International Airport and shuttle services can be arranged upon request. When would you like to stay at Promenada Hotel? 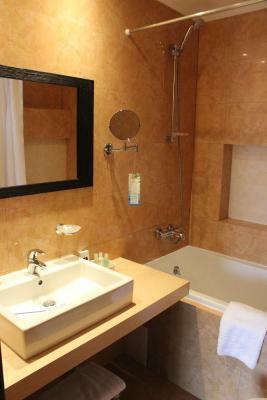 Contemporary-style room with a flat-screen TV, mini-bar, and private bathroom providing bathrobes and slippers. 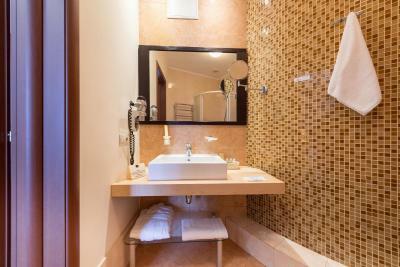 Contemporary-style suite with a flat-screen TV, mini-bar, and private bathroom providing bathrobes and slippers. Offers a small seating area. Consists of a separate sleeping and living area, and includes a seating area. More spacious than the Junior Suite. 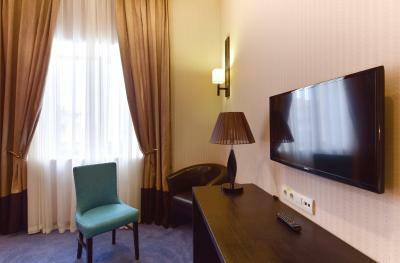 This junior suite features a mini-bar, air conditioning and cable TV. House Rules Promenada Hotel takes special requests – add in the next step! All children under 12 years are charged UAH 400 per night for extra beds. Promenada Hotel accepts these cards and reserves the right to temporarily hold an amount prior to arrival. Please note that the hotel will contact you directly regarding the prepayment of your reservation. The hotel reserves the right to cancel your reservation in case the deposit has not been transferred. 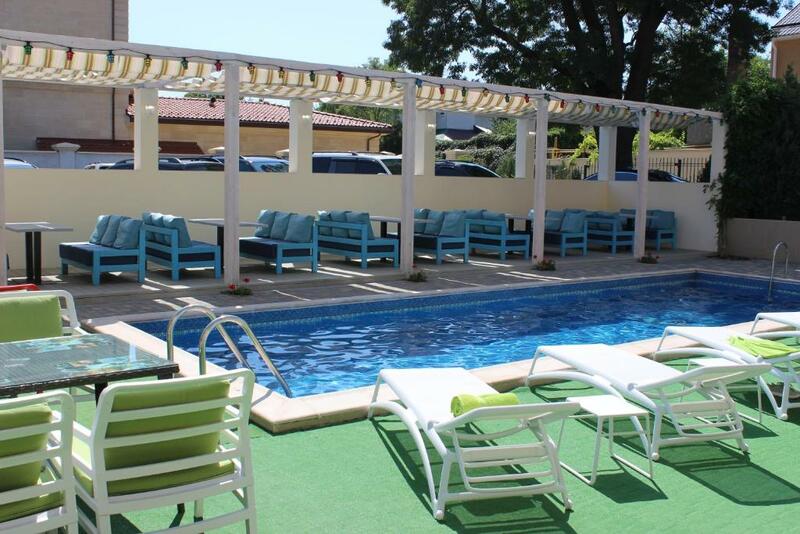 Children from 3 to 8 years are welcome at the kids' club. The air conditioning was not adjustable below 24 c. Requested 3 times for maintenance and were finally told it was normal. The manager gave us a different room after the 3rd night. Which was a larger and a bit better but the air conditioning temperature was still set to 24 c. Not the hotel's fault that my sleeping habits include a cooler temperature.